New window treatments for a new look! At Bob's Affordable Carpets we also carry a great line of quality window treatments that can bring new life to any room in your home or work place. Our window treatments are priced right, too! When you shop with us, you get the best selection, along with some of the best deals in the entire New Castle, Delaware area. 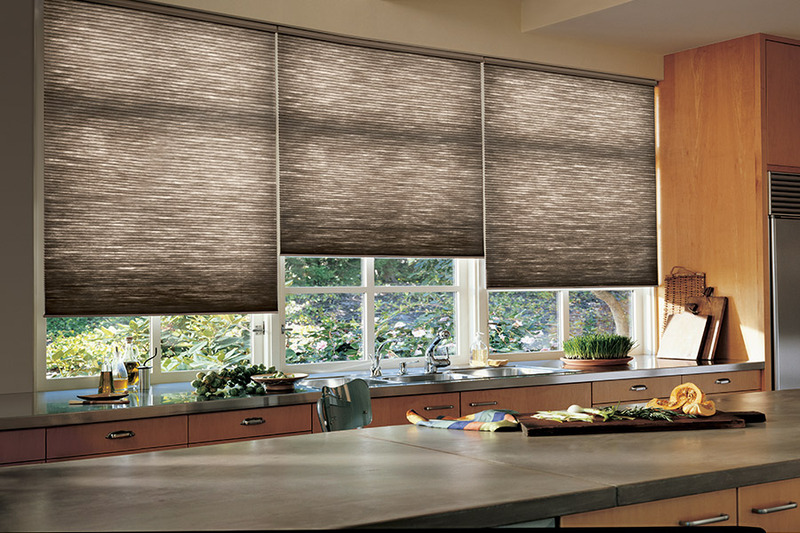 We offer window treatments by Hunter Douglas and Graber, two of the most respected names in the business. These companies have invested millions in their research and development programs, and have been able to create and manufacture some of the very best window treatments on the market today. With these companies, you know you are getting the best in quality products that will last for years. and much more, including shutters, shades and window treatments from Skandia and Norman Shutters. Why buy new window treatments? If you want to bring new life and a new look to any room, consider new window treatments. These modern treatments are also affordable, meaning you can get a new face-lift for your home or work place for a lot less money than you might imagine. New window treatments can also help to reduce your energy bills both in summer and winter, as well as to reduce harmful UV rays from direct sunlight. To see the latest in window treatments, come by Bob's Affordable Carpets in New Castle, Delaware and let us show you the terrific selection we have available for you.